The Boggs family together for the wedding of Nathan and Lindsey. Starting at the front left: Lacy, Titus, Debbie, and Erica. Staring at the back left: Stephanie, Taylor, Hannah, Nathan, and Lindsey. Rev. Titus J. Boggs, 61, passed away Monday morning, August 29, 2011, at the Appalachian Regional Healthcare (ARH) hospital in Harlan, Kent. He was 61 years old. Viewing: Thursday, September 1, at 3 pm. Funeral: Thursday, September 1, at 7 pm. Titus served as director of Laurel Mission for 30 years, 1980-2010. In October 2010, Titus went on medical leave as director of Laurel Mission–he has suffered from diabetes and other physical problems–but he continued as senior pastor of Laurel Bible Church. His son, Nathan, who had been serving as the mission’s youth pastor, and who holds a local conference ministerial license, began serving as executive director of Laurel Mission on October 8, 2010. Debbie Boggs, wife of Titus, became the new associate director of Laurel Mission. Titus is also known for his annual Ground Hog Day newsletter, a mixture of corny jokes and interesting information about the mission and the Boggs family. And he’s known as a man who loves the Lord deeply, and who loves the people who live up and down Greasy Creek. He will be remembered for a long, long time, and missed. When Titus was born in 1950, both of his parents, Alvin and Ruth Boggs, worked for Laurel Mission. Alvin grew up there, born just three miles down the road from the current mission house. Ruth, who grew up in the Colwood UB church in Caro, Mich., arrived in 1943 as a missionary teacher. Alvin returned from the Army in 1946, and he and Ruth were married that August. Titus and Debbie, an Iowa girl, met at Kentucky Mountain Bible Institute. They married in 1973, and spent the next year at Asbury College, where Titus majored in Bible and social work. After that, Titus worked a year in the Public Assistance Office in Lexington. And then they moved back “home,” serving as dorm parents at Pine Mountain Settlement School, where Titus attended grades 1-9 and where his father worked. In August 1980, Bishop Raymond Waldfogel came for a visit. 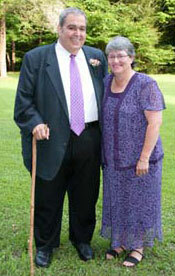 Titus had been assistant pastor under mission superintendent M. E. Burkett. Now the Burketts were leaving. Would Titus and Debbie take their place? Yes, they would. Titus and Debbie have six children: Nathan, Hannah, Stephanie, Erica, Lacy, and Taylor. 29 Aug Oct. 27-28: UB History Course in Chambersburg, Pa. The annual United Brethren History course is coming to central Pennsylvania. The two-day course will be held October 27-28, 2011, at the Mount Pleasant UB church in Chambersburg, Pa. That’s a Thursday and Friday. This course is a requirement for becoming a licensed United Brethren minister. However, people who just want to learn more about United Brethren history are free to take the course. The cost is $200 for persons who need licensing, $100 for everybody else. For more information, including nearby hotels, and to register, go to the UB website. 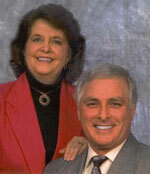 Marion and Candy Hall have been accepted as endorsed missionaries with Global Ministries. 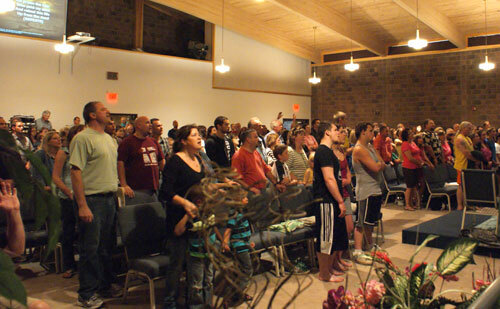 They are serving with Word of Life Fellowship, based in Schroon Lake, New York. Marion has taken a position as Dean of Men at the Word of Life Bible Hungary Institute in Toalmas, Hungary. The Halls are from the Harrison UB church in Harrison, Mich. They have two adult children, Michelle and Duane. You can learn more about Word of Life Hungary Bible Institute on their website. 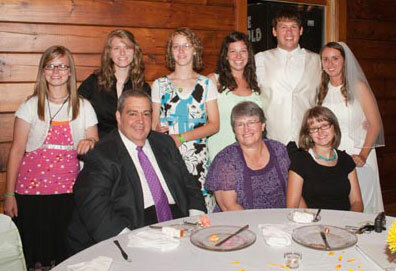 Matt Sargent resigned as pastor of East Ovid UB (Coldwater, Mich.) effective August 28, 2011. He is moving to Colorado to pursue seminary education. Beginning in the fall of 2011, the EXCEL Adult Degree Program at Huntington University will offer a TESOL certificate program. The 15-credit hour TESOL (Teaching English to Speakers of Other Languages) certificate will equip adult students to work effectively with English language learners in their churches or social service organizations. The program involves four courses and a practicum, and is offered on the university’s main campus in Huntington. Courses, available in an accelerated, evening format, include intercultural communication, instructional methods for listening and speaking, as well as instructional methods for reading and writing. Classes are now enrolling for the fall. For more information, call 800-600-4888 or visit huntington.edu/EXCEL. The Institute for TESOL Studies at Huntington University was founded in 2009 as an outgrowth of long-term relationships between Huntington University faculty and educators in China. Andy Stahl has been named senior pastor of New Life Community Church in Chanute, Kansas, effective September 1, 2011. Michael Longfellow resigned from that position earlier this summer to take a church in another denomination. Andy is a 2007 graduate of Huntington University, with a degree in Bible and Religion. His wife, Jennifer, graduated from HU in 2006 with a degree in Recreation Management. The 10th Anniversary of 9/11 is just around the corner. Perhaps you haven’t given it much thought in your worship planning, but here are some practical ideas from Shane Bennett of Missions Catalyst to focus your church on the opportunities to share Christ’s love and not just the tragedy. Each year we have an outdoor baptism service, that is often a highlight in our summer. This year was the first in the history of these outdoor baptisms that we had to cancel due to impending severe weather. After deciding to move the service and picnic indoors to the church. We planned to make the best of the day and still proceed with the baptisms. God met with us in a very powerful way as He moved on the hearts of people. 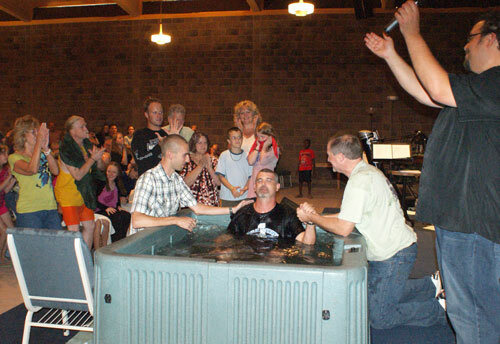 We celebrated God move as 34 individuals were baptized. As we reflected on the day, we were reminded that when God chooses to move, men’s plans are nothing. We are rejoicing in the celebration of these steps of obedience. Scenes from the Honduras Mission Conference. The woman in the red jacket in many of the photos is Juanita Chavez, superintendent of Honduras Conference. The Women’s Leadership Team of Honduras, District No. 3 (La Ceiba) and two congregations from District No. 4, celebrated their first missionary conference. 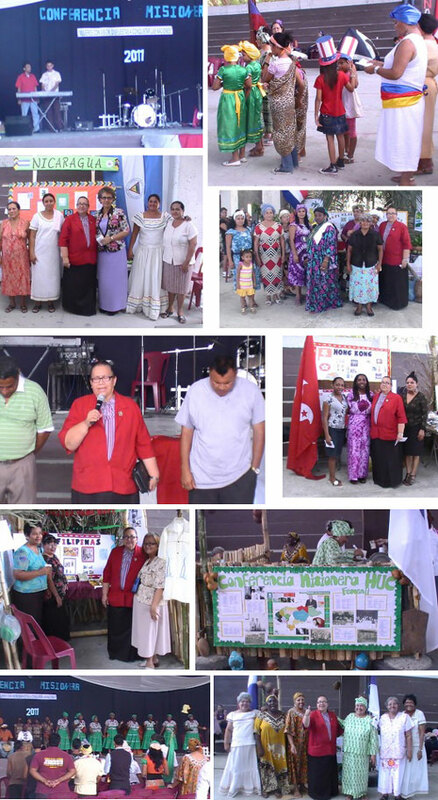 Each country where the worldwide United Brethren Church works was represented with typical food, costumes, and other items related to that country. We had with us Rev. Edgardo Lainez of Church of the Nations, who also works with COMIBAN (Latin American Missions Consortium) of Honduras. He provided us with a comprehensive briefing on missions and missionaries from Honduras who are serving in different countries. Bryan Ballinger, associate professor of digital media arts at Huntington University, has published a collection of vintage recipes and recipe booklets. Kooky Cookery: An Archive of Irregular Recipes from Yester-year features recipes such as Bologna Cups with Peas, Sausage-Eyed Apple Winkers and Cheese-Burger Pancakes. Ballinger teaches in the digital media arts department at HU. His specialty is in the design and illustration work of digital media, including 3D CGI skills in modeling, texturing, lighting and animation. Before coming to HU, he was a freelance illustrator with clients such as Microsoft, Nintendo, Disney, and Harley Davidson. He was also the lead 3D designer for five years at Big Idea Productions, the creators of VeggieTales. He also spent six years as a senior designer and illustrator at the Microsoft Corporation where he was awarded a patent for development of multimedia buttons. “Kooky Cookery” is available in print, Kindle, Nook and PDF formats at kookycookery.com.